HYLO Fitness, located in the center of Mount Pleasant, has a little something for everyone. The studio offers both High Intensity (HY) and Low Impact (LO) classes throughout the day, each lasting 50 minutes. While HY classes focus on burning fat and building muscle, LO classes focus on building lean muscle through strength and flexibility training. As soon as I walked into HYLO, I was blown away by the chic and modern facility. The staff and instructors are friendly and motivating, which definitely helped me get through the difficult and intense HY class. My favorite HYLO touch, though, would have to be the cold lavender towels handed out at the end of class. Barre South is a locally owned barre studio that has been operating out of Mount Pleasant on Coleman Boulevard since the Spring of 2016. Barre classes combine yoga, pilates, and ballet to create a low impact, full-body workout. 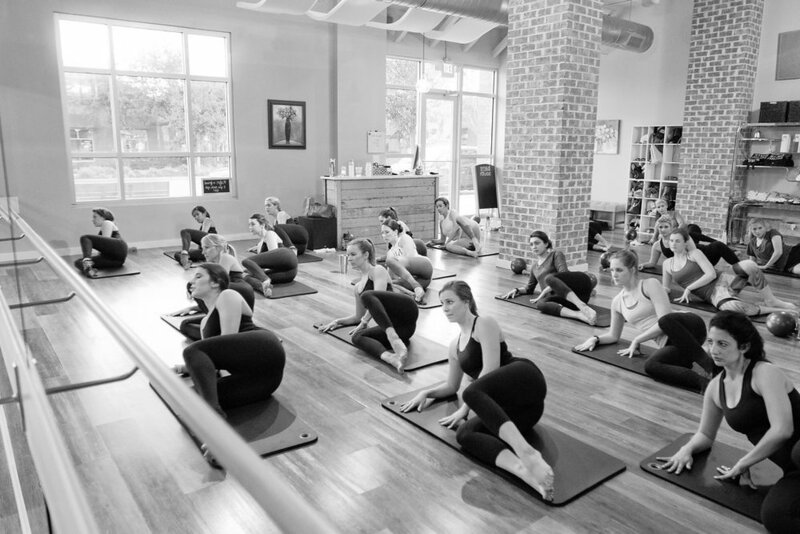 Barre South offers a 60 minute class that works your abs, thighs, and glutes. The friendly and enthusiastic staff at Barre South made me feel welcomed as soon as I stepped through the door. Even with a full class, the studio still felt spacious and bright. My abs and legs were shaking throughout the entire class, but the fun music played by instructor and owner Brett Dunevant kept me going the whole hour. After 13 years of teaching yoga in the area, Ashley Bell opened Reverb Charleston this past April on the upper peninsula beside the new food court, Workshop. Unique to other studios in Charleston, Reverb has the mission of making yoga more accessible to all people. They offer community classes in different locations across the Peninsula and allow new clients to drop in for a name-your-own-price of $5-$15. As a newcomer to yoga, I was fearful I would embarrass myself in class, but Ashley made me feel comfortable right away and helped me experiment with different variations and modifications. Reverb’s yoga facility is unlike any other, with 360 degree windows that bring beautiful, natural light into the studio. Alright, well I guess we better go hit these places up and work on our fitness because it sounds like McKay was happy with all of them! I would love to hear your recommendations for other enjoyable exercise classes in the comments. Cheers y'all!